Register for the walk now! FIND OUT ABOUT SPONSORSHIP OPPORTUNITIES! 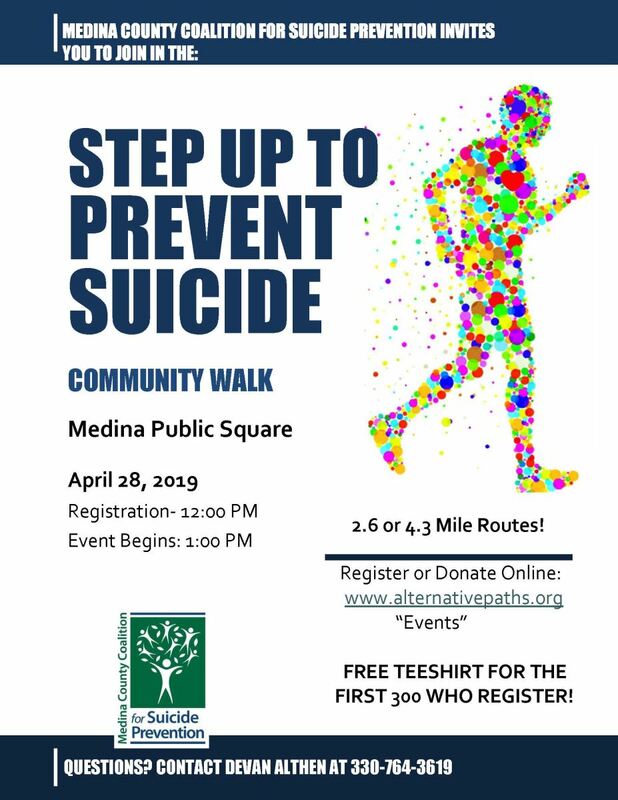 MEDINA COUNTY COALITION FOR SUICIDE PREVENTION!